Take advantage of the bendable shape to keep a wall of material under the nose to block water spray without blocking patient breathing ability. Bend it a little bit to create more flexibility prior to positioning. 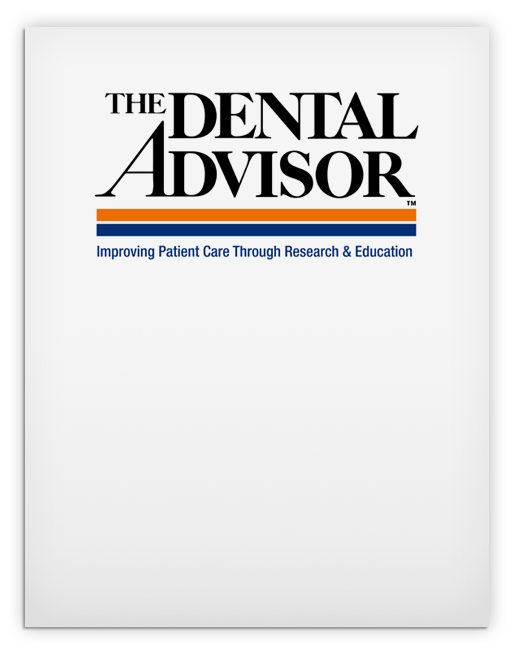 Place clamp on tooth first. The built-in frame makes placing dam with clamp attached more difficult. 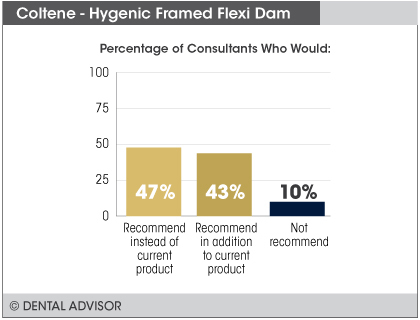 Hygenic Framed Flexi Dam was evaluated by 30 consultants, with a total of 510 uses. 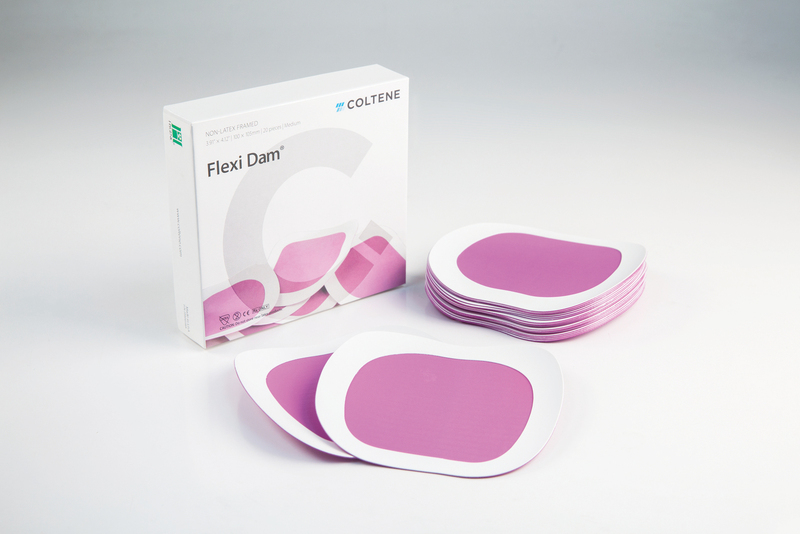 surface of the plastic frame helps to maximize patient comfort when positioned on the skin. 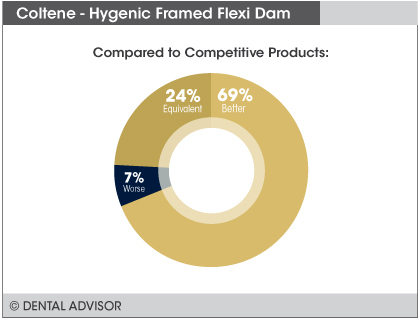 The dam material is highly elastic, allowing it to stretch to accommodate easy hole placement for posterior and anterior teeth.Hygenic Framed Flexi Dam has a workable area of 100 x 105 mm, is powder-free, and odorless. 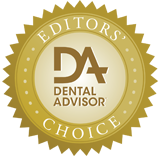 It is available in a medium gauge, non-reflective purple color. 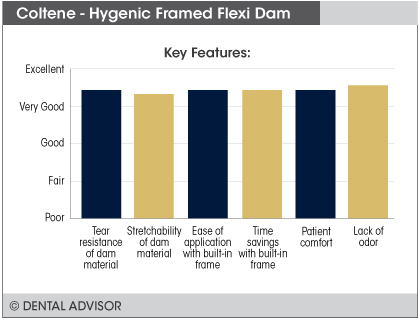 Hygenic Framed Flexi Dam is available in 20 ct. boxes.